Welcome to Scott Joseph's Foodster Awards for Independent Restaurants. 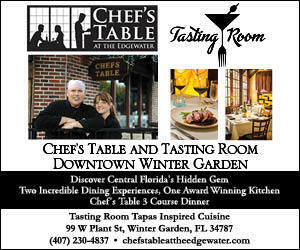 The Foodsters are an ongoing program to recognize and celebrate culinary excellence in Central Florida. The Foodsters are open to any business with three or fewer locations -- no chains. Winners are chosen by you, with your vote. Make your selection in each category carefully -- only one vote is allowed per person. You may nominate a restaurant for an appropriate category, but make sure it isn't already in the list of nominees. And remember: independent restaurants only. Written by Scott Joseph on 10 January 2017 on 10 January 2017 . Shakers American Cafe is the winner of the 2017 Best Breakfast Foodster Award. Read about it here. 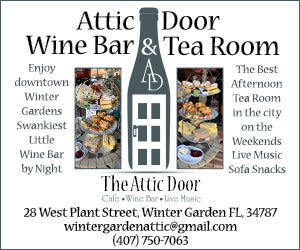 The restaurants listed here have been nominated for Best Breakfast in our Foodster Awards for Independent Restaurants. Note: This category is for everyday breakfast only -- not Brunch. Brunch will be introduced in a separate category at a later date. To vote for your favorite, check the box next to the name and then click the VOTE button at the bottom of the list of nominees. You may vote for only one nominee and you may vote only once. After you have voted, the VOTE button will no longer appear on the page. You may write in the name of a restaurant that you'd like to nominate. But remember: The Foodster Awards are exclusively for independent businesses, defined as having three or fewer locations -- no chains. Any write-in nominees that don't meet that definition will be removed from the list. Also, do not write in the name of a restaurant or lounge that is already named in the list -- by doing so you may actually reduce the number of votes that restaurant might receive because only the votes on the first listing will be counted. 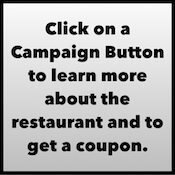 To learn about some of the candidates and to get a coupon, click on a Campaign Button on the right side of the page. After voting, leave a comment below telling us who you voted for and why. We may use your comment if your favorite is the winner. Voting ends March 15. Winner announced in the March 16 edition of the e-letter.